Now that the mortises are complete, time to make matching tenons. 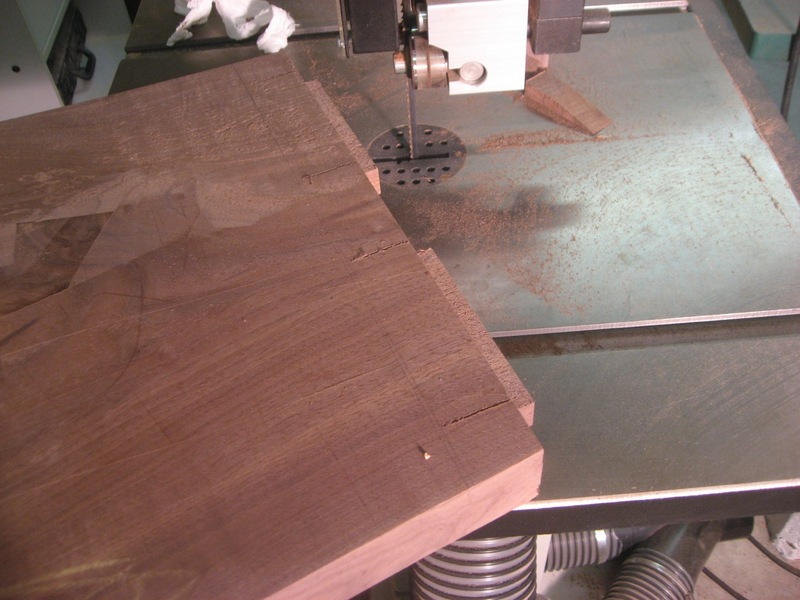 There are many ways to create tenons and I chose a combination of the bandsaw, table saw and chisels. I use the bandsaw to cut the tenon”s width, leaving quite a bit of room in the mortise (about 1/2″) to allow for expansion. 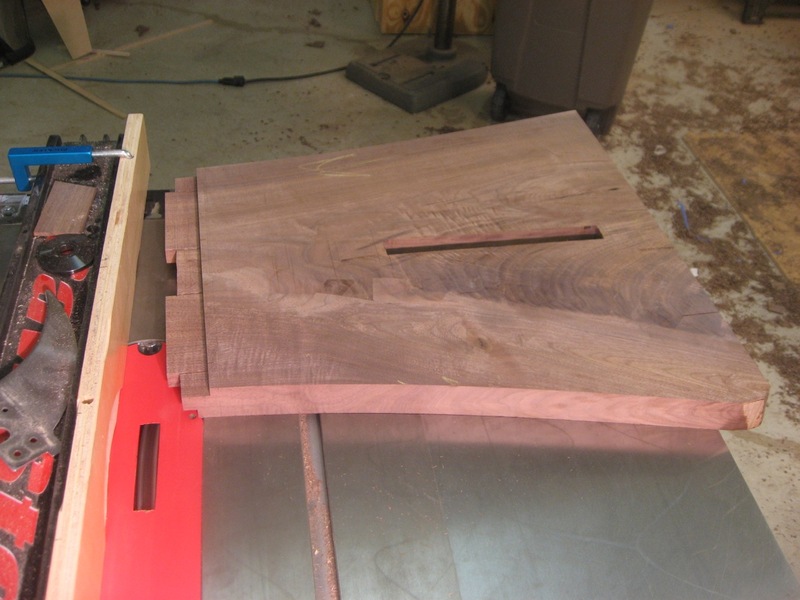 Recall the leg piece is almost 2″ wide crotch walnut! A dado stack in the table saw dials in the tenon thickness to match the mortise. I first take off material from the very tip to ensure a snug fit, and then do the rest of the tenon. 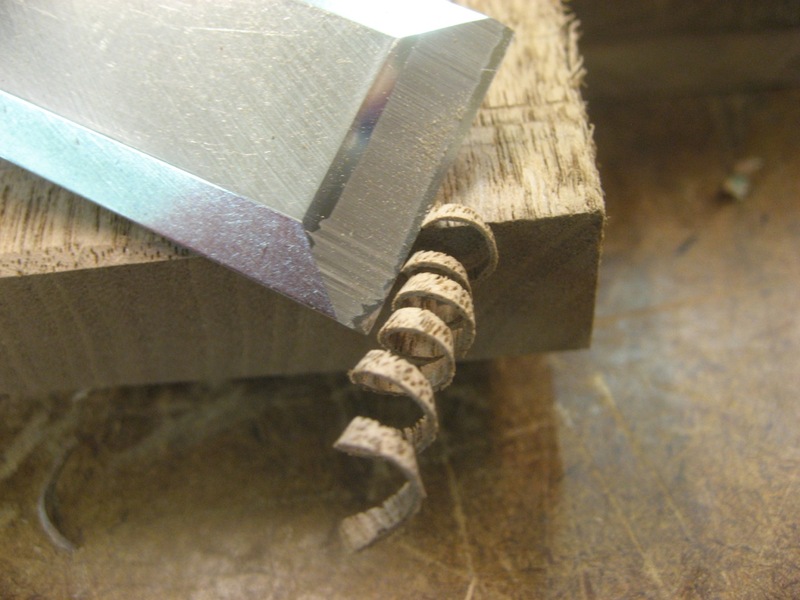 Finally a little trimming with a chisel to make it easy to start the tenon into the mortise.